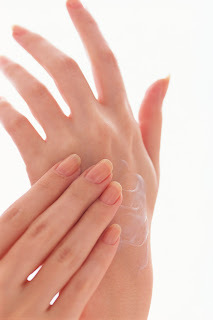 Winter brings many merry things – but dry skin isn't usually one of them. Dry winter air, heat from radiators and exposure to the elements all contribute to dry skin – but there are factors you can control, such as the types of foods you eat. Your skin gives you a good idea about what’s going on inside your body. So a healthy body equals healthy skin. How does this work? All the cells in your body are made up of fats and if you aren’t putting the correct types of fats into your body, your cells aren’t going to be as strong or function as well as they could be. What are the correct types of fats and where do you get them? Two of the main types of fats in our bodies are Omega 6’s and Omega 3’s. We are suppose to have a 1:1 ratio of these types of fats. Currently, the average ratio of an American is 30:1 Omega 6’s to Omega 3’s. When these ratios are out of balance – it is unhealthy for your entire body, skin included. To help balance the ratio, you not only need to increase the amount of Omega 3’s that you are eating, but also reduce the amount of Omega 6 fats. Omega 3’s are found in highest concentrations in green vegetables, grass fed meats and especially wild fish. Omega 6’s are found mostly in products that are made from vegetable oil, grain fed animals and processed carbohydrates. Learn more about Omega 3's here. To purchase high quality Omega-3 supplements, visit Kehres Health Products. Hello! I would like to extend a warm WELCOME! You are a refreshing addition to the area! Look forward to attending your classes! Are you aware of the Nutritional Value of Chia Seeds? I started to post here then decided it was a perfect subject for a Blog Post. Feel free to share this with others if you like.